The Scots Science Scholars program is designed to get students out and actively experiencing places where they can see STEM workers in action. From the very beginning, we have been infusing every day with science and science with the everyday. Bruce Guillaume, the director of Mountain Challenge has been one of the people who have made sure that this happened throughout the orientation activities for our S3 students. 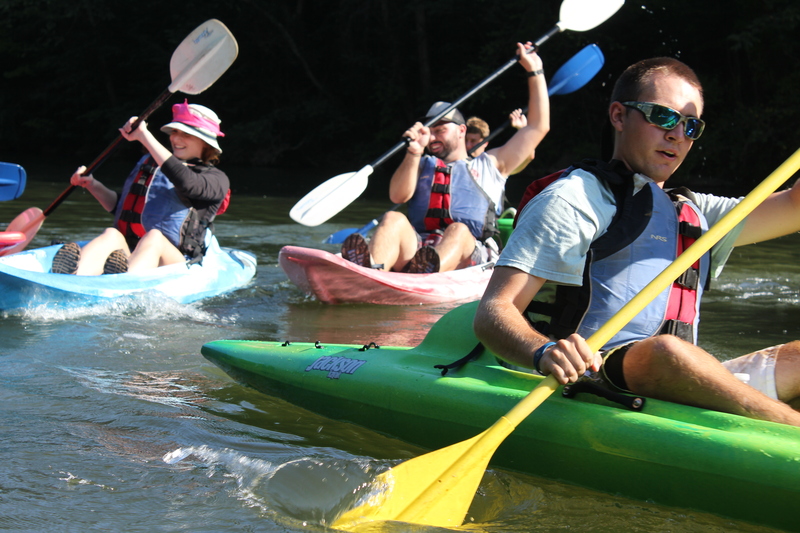 So when Bruce approached us about combining the flat water kayaking activity with a visit to TVA, we jumped at it despite the 6 AM departure time. We began with a Sunday evening viewing of the documentary Going Home: The Caney Creek Village Story and a conversation with filmmakers Ron and Debbie Moore. 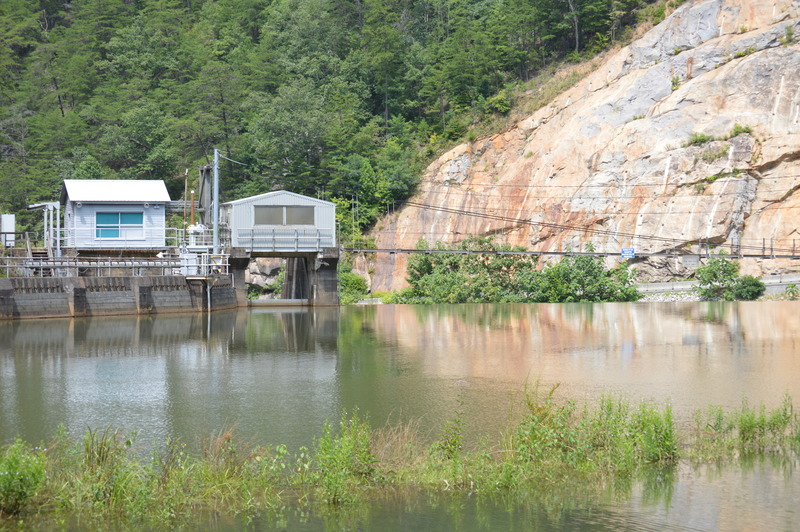 Students learned about Caney Creek Village that was created by the Tennessee Power Company to house the workers who built and ran Ocoee dams #1 and #2. 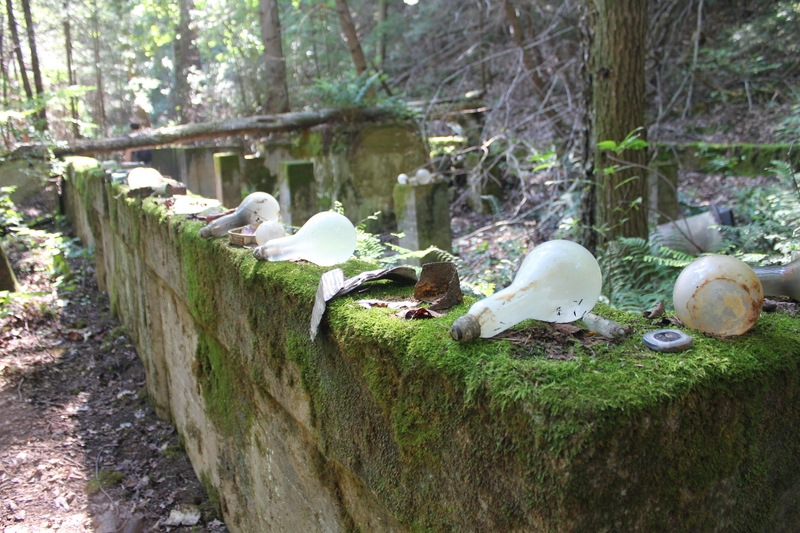 The village was later dismantled after TVA bought the Tennessee Power Company, but the foundations of many of the buildings and lots of artifacts can still be found in the area. The next day we started out early in the morning for our journey to Polk County. 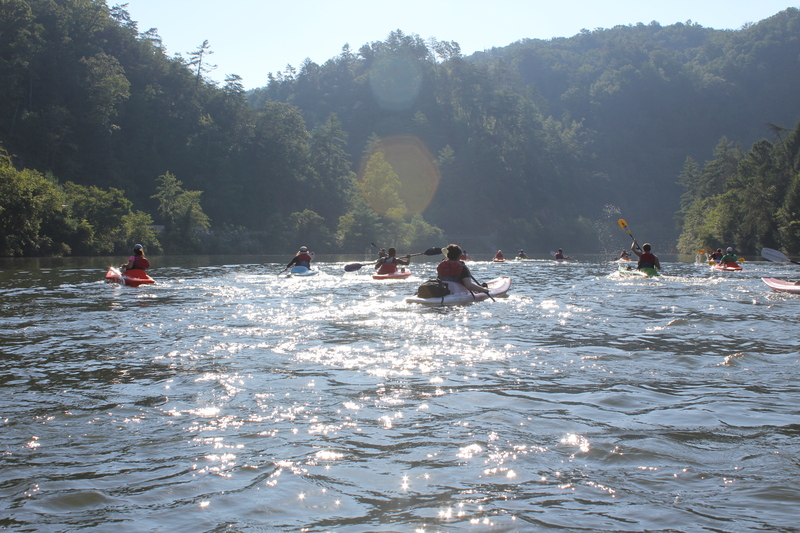 We stopped to see Ocoee #1 first and then we went on get our kayaks, learn how to steer and propel them, and paddled off to Caney Creek. It was great to see smiles on everyone’s faces as we made our way up the river, taking breaks to hear Bruce tell the history of the river and the dams in the area. We parked the kayaks for a bit in the old Caney Creek swimming hole and took the short walk to view what is left of a bustling village that was ahead of its time, boasting running water and electricity when few in the area had it. Students curiously explored the area, wondering aloud and piecing together a picture of what once was. Leaving the kayaks behind, we drove up to view Ocoee #2, built in 1913 and now on the National Register of Historic Places. The ingenious design of the dam was apparent in its simplicity. Students were able to see how the water from the river is diverted into a wooden flume that takes the water 5 miles downstream. While the river drops 270 feet over that distance, the flume only drops 20. When the water reaches the powerhouse it drops the remaining 250 feet and produces much more power than you would expect from a dam that is only 30 feet high. Our trip ended with a visit to the office of TVA’s Ocoee plant manager Annette Moore. 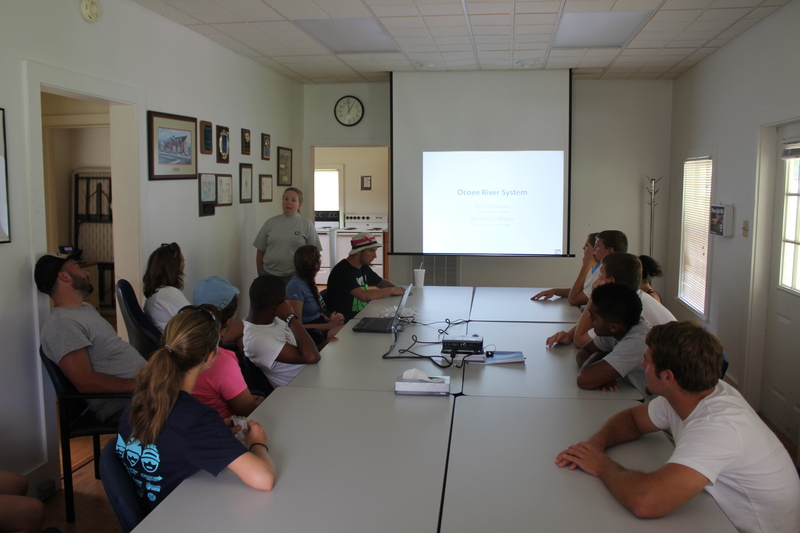 Annette gave us some more insight into the history and engineering of the three Ocoee dams and their operations. She also gave students very important advice about seeking internships and jobs with TVA and elsewhere. Annette encouraged the students to consider careers in TVA and shared her personal journey through the organization. This gave us all a sense of what kind of work goes on behind the scenes to keep our lights, computers and other electric devices up and running. The combination of kayaking, the history lessons of Caney Creek and the visit to TVA may seem pretty disjoint. One of the hallmarks of completing a STEM major at a liberal arts college is the ability to see and understand interconnections between all the components of a situation and their consequences and take them into account when making decisions. Our Scots Science Scholars took their first steps toward that goal.